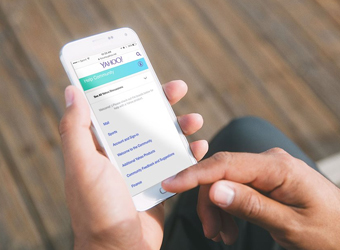 Yahoo Mail, the web-based e-mail service of US-based tech firm Yahoo Inc has announced several new updates for iOS and Android operating platforms. In a statement, Yahoo said the new updates have been rolled out to enable a touch of personalisation to the inbox. Gmail, the e-mail service from Google, is by far the most used web-based e-mail service worldwide. According to ComScore data for January 2016, Gmail had 143 million unique users in the US email market while Yahoo Mail had 65 million unique users. However, Yahoo has been rolling out new features to make it more attractive to its loyal users. Here is a look at some of the latest updates announced by Yahoo Mail. These features are available for users in India by updating to the latest versions of iOS (version 4.5) and Android (version 5.6). A new feature called 'un-send your mail' allows users to un-send an email within three of sending it. This could prove useful in a scenario where a user has sent the mail in haste or to a wrong recipient. An option to undo the sent mail appears at the bottom of the inbox feed for three seconds and clicking the option can prevent the mail from getting sent. This feature is not available for Android users yet and it is not clear whether Yahoo will roll it out for them later. Yahoo has also introduced a new feature related to management of contacts. With the latest update, when users search for a contact in the mailbox, they will be able to see the picture, phone number and email history of the searched contact along with their most recent mails. This, Yahoo claims, it does by leveraging 'Xobni technology'. Xobni is a startup acquired by Yahoo in 2013. Xobni makes maintaining inbox and contacts list a less cumbersome experience by focusing on the contacts with whom the users engages most frequently. While these are the two most important updates, it has also introduced new animations which adds to the fun quotient. For Android users, Yahoo Mail has brought a new a 'stationery' update, which lets users add an extra touch to the e-mails with visual template themes such as birthday wishes to a friend or a thank you letter to one's grandparents. Some of the other updates for Android users include document previewing, where users can view large files without any download, a home screen widget that shows the unread message count on all accounts and mailboxes, an option to disable the 'swipe to delete' functionality to prevent accidental deletion of mails, increasing the number of levels to five for inbox spacing and introducing more updates to themes.